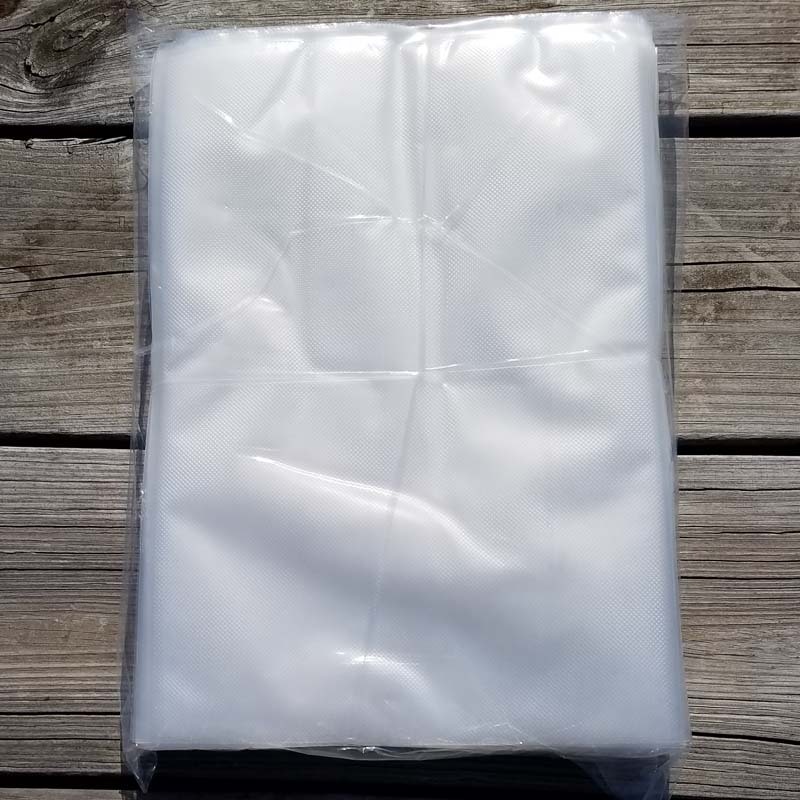 2 ply, 3 mil/ 85 micron, embossed, micro channel vacuum bags lock out air and moisture to keep foods fresh 3-5 times longer than conventional packaging. Eliminates freezer burn! Stored foods can be reheated by boiling right in the bag or in the microwave (pierce bag before cooking in microwave). Works with FoodSaver, Weston Pro series vacuum sealers and most other brands. Reusable and dishwasher safe. 8 inches x 12 inches. 20 bags per pack.